Recently we came across an article, which noted that the running of ultra-marathon races (endurance races of 50, 100, even 150 miles) was the fastest growing outdoor sport in America. McCook has at least two dedicated ultra-marathoners, who do credit to their sport. 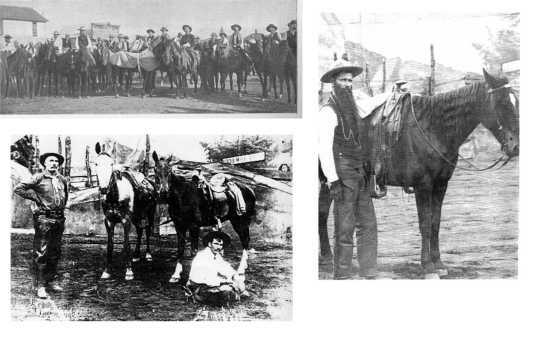 This brought to mind a race that originated in Nebraska some 120 years ago, a super race that tested the mettle of both man and beast, and in so doing set the standard for endurance horse races to today. In 1893, even in western Nebraska, there was a great thirst for news, whether it was local news or news concerned with events worldwide, fueled by the resources of the Associated Press service, the leading news resource of the day. The AP accommodated newspapers across the land, including the Chadron paper. The AP encouraged its members to contribute stories from their coverage area, to be disseminated to papers across the land and abroad. This, Chadron seemed to do -- with enthusiasm. Chadron had contributed several stories, eagerly picked up by eastern papers. The trouble was that some of these stories were bogus, idea of a couple of Chadron cut-ups, Emmett Albright, a cowboy from Texas and John Maher, a clerk in the Dawes County Courthouse, (and an unnamed friend at the Newspaper. Maher loved practical jokes, to the extent that he was known as John Maher, "Paralyzer of the Truth." Both boys loved to pull the leg of easterners, with stories of a Petrified Man, the Monster from Alkali Lake, and several others. "Those Easterners want to believe that the West is mysterious, with savage Indians, half-wild cowboys, and damsels in distress. We were just helping to bolster those illusions."